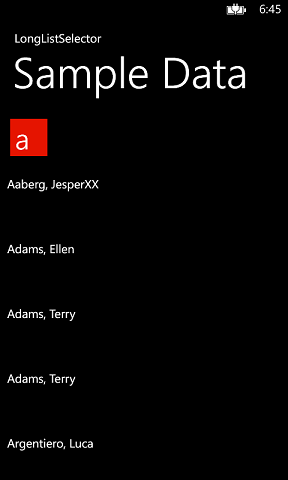 The LongListSelector for Windows Phone is a great control. 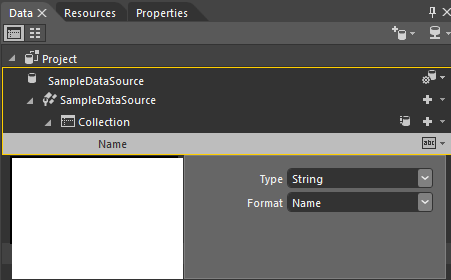 However, it can be a real pain to design especially when you want to use the Sample Data feature of Blend. However, if you try the same trick with a Long List Selector your are faced with a blank page. If you try to edit any of the templates you are faced with more blank screens. It is far from ideal. So here is one method to make your Long List Selector projects Blend friendly. 8) View it in Blend or Visual Studio designer. Please note, both designers are a bit flaky – especially Blend. You normally have to close any open window showing the page, in fact it’s often easier to just close the apps down and re-open then. You should then be able to view the selector and all of its templates at Design Time! Unfortunately, the link to the MSDN Long List Selector article does not match up with this article. making this article somewhat useless.. Sorry if you’re having trouble but the link does still work. If the link is still causing you problems I suggest you start from the MSDN site, then the Phone developer site and then under User Interface for Windows Phone. Can this be done in WP7? In step 3 what do you mean by derive a new class based on our SampleDataSource? Do I have to create a new class? If so, what do I name it? Hey, I’m making band list for rock festival. MSDN LongListSelector works just fine, but after the step 3 I’ll get errors everywhere. I think I put codes wrong places. Can you tell where to put every code more accurate? 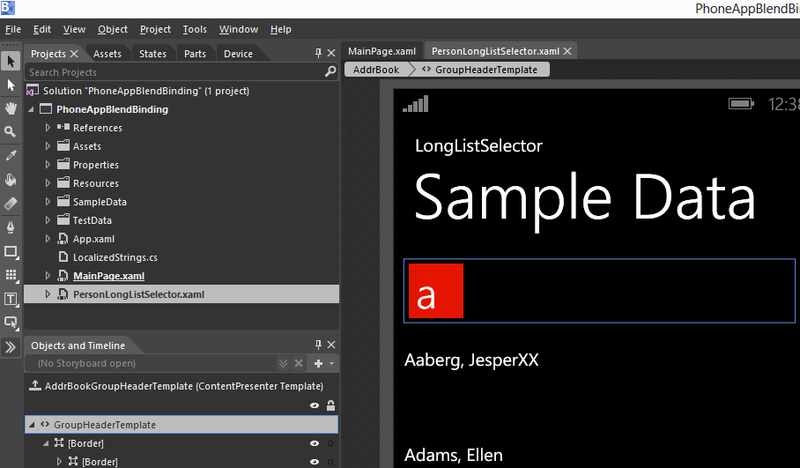 Like MainPage.xaml and so on. What means “Derive a new class”? Thank you so much for tutorial!